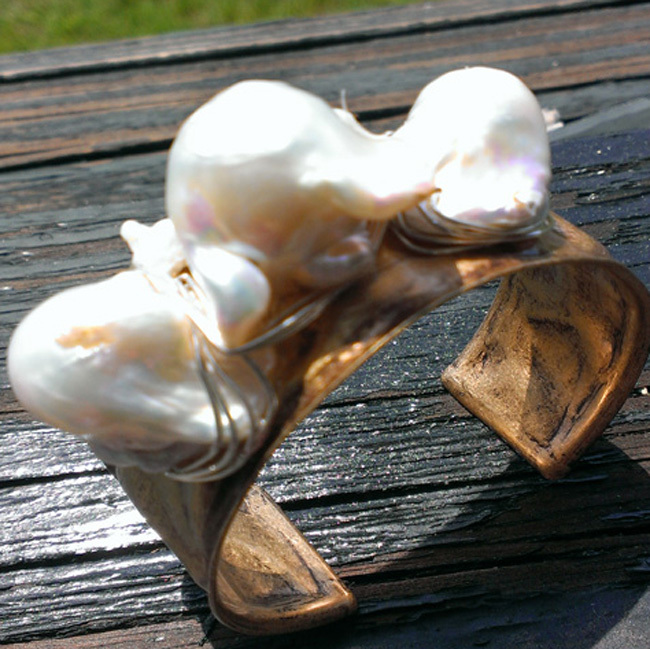 Our Pearl Chunk Cuff Bracelet is made with Blister Pearls, which hold the same properties as Mother of Pearl. It is protective and brings the gentle healing power of the sea. It is a stress relieving stone which helps relax and calm emotions. 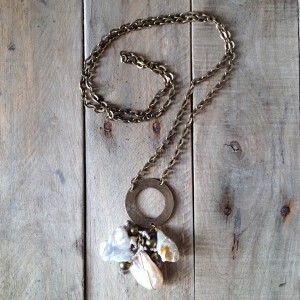 We wire wrap the pearls on one of our cuffs, you can choose antique silver or antique brass. Each pearl is completely unique. Cuffs are adjustable and will fit most any size wrist.